* The guest will be charged the total price if they cancel anytime. * The guest will be charged a prepayment of the total price anytime. We are an awesome value for money hostel with guaranteed free car parking (we are the only hostel to stay at if you have a car, saving you at least $16 a day) We , are not far from the beach, free WiFi,(100mb), free pool table, free PS3 , games and dvds. We are a clean, fun and friendly budget hostel in the heart of historic Port Adelaide. With all the banks, supermarkets, pubs, shops you could possibly need. 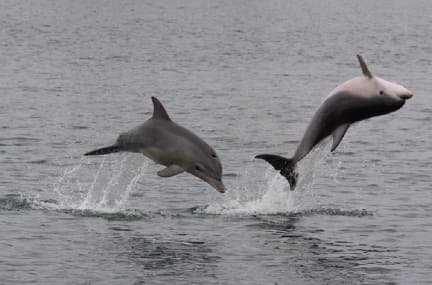 Only minutes away from Port river, dolphins and beautiful semaphore beach. All of our private rooms and most of our dorms are air-conditioned/heated. Private and family rooms with double, queen and bunk bed options, so they can accommodate from one to six people in comfort. Just let us know when you book and we are happy to arrange the room to suit your needs. All private rooms with tv, dvd, bar fridge. We have a movie room( 50 inch tv with over 200 movies free dvds) huge dining hall, coin laundry, outdoor smoking courtyard and free BBQ and all of this is only a short train ride from Adelaide city central train station( 20 minutes) secure lockers, cameras and combination locks assure your privacy and safety whilst staying with us. 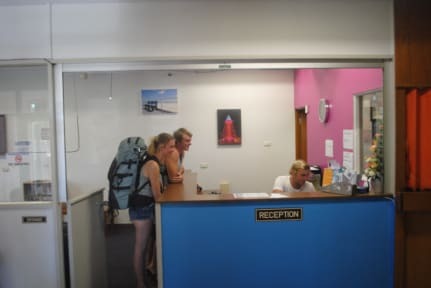 Our friendly staff are more than happy to assist you while you are staying at Port Adelaide Backpackers. Our staff consist of an on-site manager who lives on the property and works during evenings and he is on call during the day. Our virtual receptionist are on duty from 8:00 Am- 9:00 Pm, so whenever you go to the reception there is always someone there happy to help you. They are skyped in from overseas and they are fully trained professionals, with years of experience in the hospitality industry.